As the holiday season draws to a close and we pack up our boughs of holly, we’d like to take a moment to reminisce about some of our favorite seasonal traditions in the Last Frontier. Whether indoors or outdoors, artistic or athletic, we can never get enough of the holiday season in Alaska and the Yukon! The holiday season doesn’t officially start until you’ve strapped on a pair of skates and ventured out onto a frozen pond or lake. Outdoor ice skating rinks are common in Alaska and the Yukon, often complemented by gorgeous views of snow-covered mountains and wintry trees. Talk about being in a real-life Christmas card! Favorite outdoor skating spots include Westchester Lagoon in Anchorage and Shipyards Park in Whitehorse. Few things are more festive than making your very own Frosty and dressing him up in the finest attire. Alaskans and Canadians like nothing more than venturing out into the snow and getting creative. Make it a fun project by visiting a local thrift shop and picking out a hat and scarf to dress your snowman up. And for the nose? Use a sweet Alaska Grown carrot, of course! The Nutcracker Ballet is a classic holiday tradition and a great way to kick off the season while enjoying some world-class dancing and music that bring back so many wonderful holiday memories. 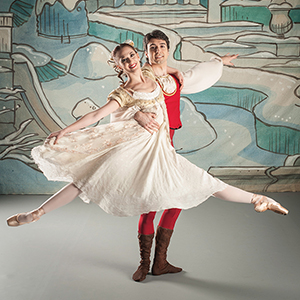 Performing arts centers in many of the major cities in Alaska present a Nutcracker every year, including one at Anchorage’s Alaska Center for the Performing Arts (across the street from the Westmark) performed by the Eugene Ballet Company, along with local dancers. The Northern Lights School of Dance in Whitehorse also presents an annual performance of The Nutcracker. For something a little different, Mr. Whitekeys’ Christmas in Spenard at the Taproot Public House in Anchorage is a rollicking and hilarious musical comedy that will entertain you with dancing, live music and a multi-media presentation. With all this said, we’re nearly ready to turn back the clocks to Dec. 1! Of course, we love each and every season in the north and can’t wait for the year ahead. Happy New Year!